It has been estimated that there are over 400 million rice-consuming poor people in the world. Imagine; eating rice every day, for three meals a day. No flax seeds, almonds, chia, acaia berries, or cacao nibs to add to your morning oatmeal. Your nails would fray. Your cheeks would be sunken and sallow. Your hair might fall out in clumps when you brushed it. Four hundred million people live on a diet of mostly rice. And those would be the least of your problems; the threat of blindness and death would be your constant companion. Rice alone does not provide the vast array of nutrients needed for nourishment. The horror of malnutrition is all too real for these millions of people. Advanced societies, like ours, believe we have an obligation to help people and reduce the burden of human disease and suffering. Some may argue that malnutrition is the result of corrupt governments and bad national policy and resource management. It is very hard for us to force governments to rule over their people and land the “right” way. But it is “relatively” easy for us to perform crop research. So we screened thousands of naturally occurring rice varieties for a strain that would produce higher vitamin content. 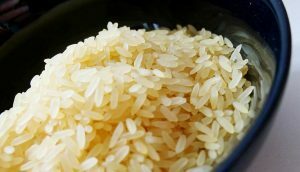 Unfortunately, even after screening thousands of varieties, a more nutritious strain of rice was never found. This is where biotechnology, specifically genetic modification, enters our story. If you use social media, chances are you have seen memes or read articles that claim that “GMOs” or Genetically Modified Organisms, are threats to our health and to the environment. But what are genetically modified foods? Are they really safe to eat? How can we understand why farmers choose to plant them, how they are approved and regulated, and how to separate the hype from the fact to protect our families and our health? It’s worth starting right off by stating the conclusion: In over 2,000 independently funded studies no one has yet detected any allergy, harm or risk to humans, animals or the environment from commercialized GM crops. (For those who want to read some of those studies, a non-profit group called Biofortified has collected over all of these independently funded studies and published them here. In America and Europe, it’s easy to protest the consumption of genetically modified foods when we can eat three separate “super foods” on our cereal in the morning. But health-conscious first world people are not the only ones worrying about the use of GMOs, to disastrous results. When the Zambian government turned away GM maize intended for its starving people because of a theoretical health risk, it created a real risk and turned a disaster into a tragedy. Denied the food, people died of starvation. Even though that same type of GM maize has been consumed by Americans and Canadians for more than a decade. GM seeds are more efficient, give higher yields, and require less pesticide use. Farmers use GM seeds because they’re more efficient, give higher yields and require less pesticide use. Yield potential is important because the world population is expected to reach 9.6 billion people by 2050. Farmers will need access to tools and technologies to help themselves feed the world because the question remains; how can we grow more food for an increasing population on a planet of the same limited size???? (A great read: National Geographic’s special multipart series, “The Global Food Crisis”). What happens when we eat GMOs? To really understand GMOs, we need to know a little bit of basic biology. For those of us who have not studied biology since eighth grade, don’t worry! I will break it down for you. Do you remember making a model of a cell? Maybe you remember some of the funny names for the cell’s little organs, like Mitochondria or Golgi Apparatus. All plants and animals, including us, are made up of hundreds of thousands of cells; nerve cells, muscle cells, skin cells etc. The basic blueprint of life, our genes (DNA) exist in every one of our cells and in the plants cells — in the cell’s nucleus to be exact. To picture this, think of an egg. An egg is a single cell that you can see with your naked eye. The yolk is the nucleus of the egg cell. The white is the cytoplasm, and the shell is like the cell membrane. Eggs have all of the other little organelles too, but they are not visible to the naked eye, like the large nucleus is. Every time you eat any plant or animal, you are eating all of their hundreds of genes that exist in every one of their cells. When we eat plant or animal cells, we not only eat all of their genes, but their gene products, too. The protein of our all-white-meat chicken breasts is a gene product. The sweetness of garden-ripe tomatoes is a product of the tomatoes’ genes. The healthy vitamins in spinach are a gene product, too. The genes in the animal and plant cells instruct the cells to make these delicious and healthful things. When we swallow the cells from a plant and an animal at the same time, both of those species DNA molecules are inside of us at the same time. Our stomachs digest the cells, breaking down all of the things the cells contain, including the DNA, the organelles, and the products of the genes. Our body re-uses all of those components in our own cells. Genetic material is digested to nucleotides: adenine (A) guanine (G) cytosine (C) and thymine (T)and used by our bodies to make new DNA. It is easy to imagine this action with the more common items, like protein. If we are trying to build muscle mass, we eat a lot of protein. It is much harder to imagine this with the basic chemical building blocks of life — like the “nucleotides” that make up the DNA of the cells. All life, with a few minor exceptions, uses the same four basic components to build DNA: the nucleotides adenine (A), guanine (G), cytosine (C), and thymine (T). DNA is very fragile, and one of the first things to get broken down in our digestive systems. When we eat food, it is rich in non-human DNA. 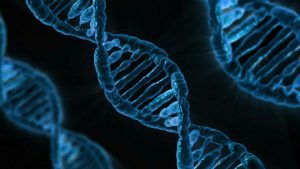 In our digestive system, this DNA, whether genetically modified or not, gets broken down into its components — the nucleotides ATC and G, the building blocks of human DNA. These can get broken down even further into smaller molecules, which are reassembled by our cells to make all sorts of things, including new nucleotides. These nucleotides get restrung together in our own cells to form strands of DNA identical to the DNA already in our cells. That is, they get made into new human DNA. That is how our bodies make new cells to replace old, diseased or injured cells. So now that we have taken this basic look at what happens to genes and DNA in our bodies, let’s take a look at what GMOs actually are. We tend to only read or hear about “genetic modification” in the context of large corporations who are trying to sell us products, like Monsanto’s “RoundUp Ready” genetically modified crops. But there are many, many other types of genetic modifications, created both by corporations and by university researchers. For example, some genetic modifications help farmers use less insecticides on their crops, some genetic modifications raise the protein content of crops, some allow the crops to be immune to deadly diseases (like viruses), and some genetic modifications are aimed at reducing human suffering around the world, such as the addition of Vitamin A to rice. Some GM crops are aimed at reducing human suffering, such as the addition of Vitamin A to rice. The genes that are transferred around often already exist in other foods or animals that we eat every day. In some examples of genetic modification, the genes that are transferred are taken directly from bacteria (like E. Coli) that live inside every single one of us, in our very own guts. Remember, each gene transfer must be reviewed on its own merit. Theoretically, scientists could insert a “bad” gene just as easily as a beneficial one. For my money, it’s not good enough to know that an organism has been genetically modified, but what I really want to know is, with what gene? Is it a gene from spinach, a food that we feed to babies, or is it a gene that allows for the copious application of RoundUp to plants? Genetically modified foods are among the most extensively studied scientific subjects in history. Every major international science body in the world has reviewed multiple independent studies — in some cases numbering in the hundreds. In the United States GM crops must meet the extensive regulatory requirements of not one, but three separate agencies; the Environmental Protection Agency, the Food and Drug Administration, and the Department of Agriculture. But what about the Evil Monsanto? And I am not saying that shady corporate shenanigans don’t contribute to the mistrust of GM crops. Selling more of your own products? Making outrageous profits by encouraging the over planting of Bt-Corn, thereby increasing the risk of creating Bt Toxin resistant bugs? Sure, all bad … but none of those things have to do with the safety or science of genetic modification. And Monsanto is hardly the first company to increase its bottom line through lobbying to influence public policy. Lets look at three examples of GM crops that were not created to increase corporate profit, but for the benefit of humanity. The most damaging micronutrient deficiencies in the world are the consequence of low dietary intake of iron, vitamin A, iodine, and zinc. Vitamin A deficiency (VAD) is prevalent among the poor whose diets are based mainly on rice. A group of European scientists spent over a decade inserting two genes from daffodil and one gene from a bacterium into rice to solve the problems outlined in the first paragraph of this article. Dr. Ingo Potrykus of the Swiss Federal Institute of Technology and Dr. Peter Beyer of the University of Freiburg in Germany created what is known as “Golden Rice,” rice with the inclusion of a Vitamin A pathway that creates a characteristic golden hue. Golden rice was said to be the first recombinant DNA tech crop that was unarguably beneficial. The technology was licensed from those universities by companies (AstraZeneca and Monsanto) for commercialization. The companies have since granted free licenses for “humanitarian” use. The cutoff between humanitarian and commercial use is set at $10,000. Therefore, as long as a farmer or subsequent user of golden rice genetics does not make more than $10,000 per year, no royalties need to be paid. In addition, farmers are permitted to keep and replant the seeds. The Hawaii papaya industry began suffering severe economic losses due to the impact of the devastating papaya ringspot virus on the island of Oahu as early as the 1950s. Papaya production then moved to the Puna area of the Big Island in the 1960s. But by 1997, the virus had almost destroyed the papaya industry. Production of Hawaii’s fifth largest crop fell by nearly 40 percent, farmers were going out of business, and Hawaii’s once $17 million papaya industry was struggling to survive. That same year, the U.S. government concluded its regulatory review of the first genetically engineered papaya variety named Rainbow, which is resistant to the papaya ringspot virus disease, and allowed about 200 small papaya farmers to begin planting the Rainbow papaya. Commercialized in 1998, the Rainbow papaya produced immediate results. Within four years, the genetic improvement had not only stopped the rapid decline of the Hawaii papaya industry, but production actually returned to levels near where they were before the papaya ringspot virus invasion. Florida is the second-largest producer of orange juice in the world, behind Brazil. Its $9 billion citrus industry contributes over 76,000 jobs to the economy. 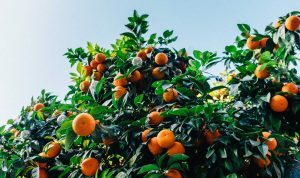 Recently, 8,000 Florida citrus growers (who supply most of the nation’s orange juice) as well as the Department of Agriculture have banded together to fight the disease called citrus greening, which is currently destroying our orange tree populations at an incredible and alarming pace, just like the ringspot virus did to the papaya on Hawaii. They have discovered that a gene from spinach can make orange trees resistant to this terrible disease. The gene that has been found to be effective exists in slightly different forms in hundreds of plants and animals, including in our own cells — it produces a protein that attacks invading bacteria. This strain is still undergoing regulatory approval. There are dozens of more examples. Even the much-criticized “RoundUp Ready” crops have good reason to be planted and used by farmers. Farmers use herbicides, like RoundUp, when they practice a style of farming called “conservation tillage” or no-till farming, which leaves the soil undisturbed between cropping seasons. This type of farming practice greatly reduces soil loss due to wind and water erosion. Farmers choose to plant “RoundUp Ready” crops like corn and soy so that they can apply RoundUp between plantings. As of 2013, no GM wheat has been approved for release anywhere in the world. But isn’t it true that GM wheat is the cause of the increased wheat sensitivities and gluten intolerances that we see in the U.S.? Even though this assertion is patently false, it doesn’t stop people from believing it, because #gluten #amiright? As of 2013, no GM wheat has been approved for release anywhere in the world. We’ll save the discussion of fad allergy diagnoses’ for another post. In summary, the GM crops that have been approved for consumption have gotten that way through an extensive regulatory process, farmers choose to plant them because in some cases they are better for the land, and the genes involved are often genes that we eat in other plant or animal cells or that exist in bacteria in our own bodies. GM crops are here to stay and instead of being afraid of them and their use, we need to actively engage with public policymakers to regulate them sanely, safely, and to the benefit of human society. Dr. Carol Lynn Curchoe is the founder of 32ATPs, and is a scientist, teacher, consultant, advisor, and author. You can find her on Twitter.